Johnson & Johnson Innovation will join with Children’s National Health System to launch a new JLABS site in Washington, DC, within the former Walter Reed Army Medical Center campus—a facility that will include an “innovation zone” for emerging developers of medical countermeasures to be partnered with the Biomedical Advanced Research and Development Authority (BARDA). 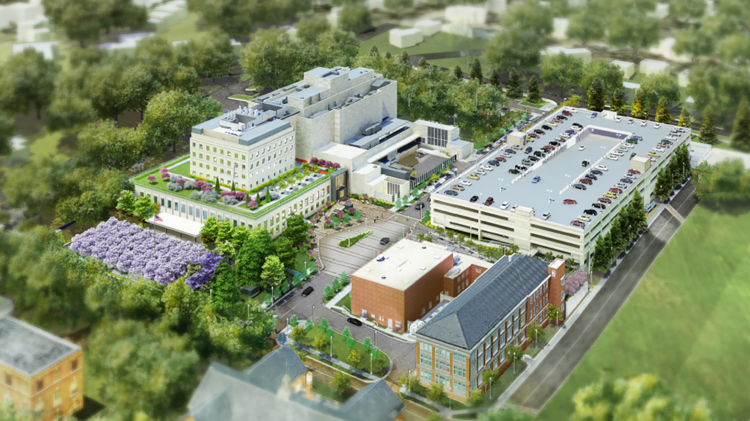 The new 32,000-square-foot JLABS @ Washington, DC is set to open next year within the new Children’s National Research and Innovation Campus, located on a 12-acre portion of the former Walter Reed campus. J&J Innovation—the umbrella for entities created to support collaborations with early-stage partners—said JLABS @ Washington, DC will be open to pharmaceutical, medical device, consumer, and health technology companies that are aiming to advance the development of new drugs, medical devices, precision diagnostics, and health technologies, including applications in pediatrics. Children’s National said the new campus will allow it to expand its research programs—especially what it considers “high-impact” opportunities in pediatric genomic and precision medicine, anchored by the organization’s Center for Genetic Medicine Research and Rare Disease Institute. “The vision we pursued for this campus required a global innovation partner with a strong commitment to pediatric health and a clear understanding of the next big areas of opportunity for improving human health. We believe the JLABS model is exactly what is needed to help us drive discoveries that are then rapidly translated into new treatments and technologies,” Children’s National president and CEO Kurt Newman, MD, said in a statement. Children’s National and JLABS added that they expect the new campus to draw upon its proximity to potential generators of emerging companies—the region’s federal research institutions and agencies, universities, and academic research centers. According to the regional life sciences economic development group BioHealth Capital Region, the Maryland-Virginia-Washington, DC, region is home to more than 70 federal labs, and over 1,000 life sciences companies. Lab space figures range from 22.5 million square feet (Rockville, MD-based Scheer Partners, which measures the entire region) to 9.5 million for suburban Maryland measured by commercial real estate firm JLL. “The rich ecosystem of life science innovators across the DC metropolitan area, including the bright minds within both the private and public sectors, provides a network of connectivity that can spark new ideas and propel the next big breakthroughs in science and research to protect and serve our global community,” added Melinda Richter, global head of Johnson & Johnson Innovation – JLABS. JLABS said its facilities have incubated more than 500 companies to date and are now home to over 330 companies advancing pharmaceutical, medical device, consumer, and health technology programs. Companies working with JLABS and the Johnson & Johnson Family of Companies have formed more than 120 collaborations. JLABS will also partner with BARDA on the innovation zone for emerging companies focused on health security, namely medical countermeasures against chemical, biological, radiological, and nuclear or “CBRN” threats, as well as from emerging infectious diseases and pandemic influenza. BARDA is a component of the Office of the Assistant Secretary for Preparedness and Response in the U.S. Department of Health and Human Services. The innovation zone builds upon past collaborations by Janssen Research and Development and BARDA aimed at speeding up development of therapies and vaccines against health security threats by leveraging JLABS’ expertise in developing partnerships of entrepreneurs, investors, and thought leaders to advance the development of related treatments and prevention solutions. To mark the new facility and the BARDA partnership, JLABS plans to award emerging companies up to $150,000 in grant funding, residency at JLABS @ Washington, DC with the use of a bench, workstation, and access to the JLABS @ Washington, DC community for one year—as well as mentoring from entities across the Johnson & Johnson Family of Companies. JLABS is encouraging emerging companies to submit ideas for the competition, called the JLABS @ Washington, DC Children’s QuickFire Challenge, between now and February 7, 2020. One or more awardees will be announced next year. Additional information about the application process is available at https://jlabs.tv/DC.